President Akufo-Addo says his Government will continue to maintain fiscal discipline in the aftermath of the exit of the IMF programme. After having obtained successful ratings from the International monetary Fund about the country’s economic performance, and given a clean bill of health, President Akufo-Addo noted that there is a lesson that must be drawn from the 16th IMF programme, entered into by the erstwhile Mahama administration. “It is about a fundamental and basic matter all of us as Ghanaians have to bear in mind, and that is discipline in the management of our public finances. It’s not easy to say that you have to live within your means but if you want to be able to do big things, you don’t spend money that you don’t have, that is always the road to chaos,” he said. 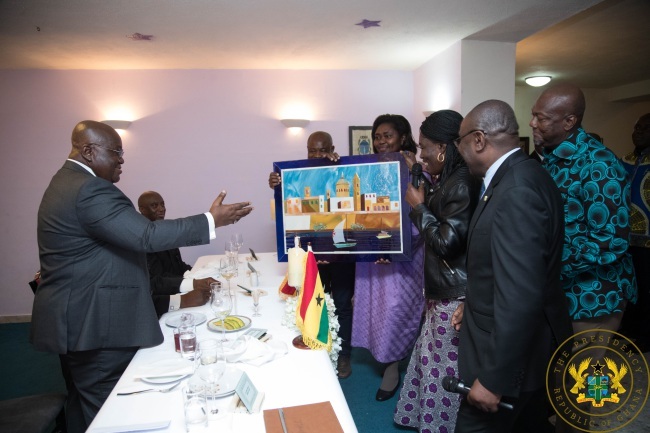 President Akufo-Addo made this known on Monday, 25th March, 2019, when he interacted with members of the Ghanaian community resident in Valletta, Malta, as part of his official visit to that country. Since assuming office in January 2017, President Akufo-Addo noted that his Government has now finally been able to bring the fiscal deficit under control, which hovered around 7.3% at the end of 2016, to under 3.9%. “It is my intention that we keep it there. We keep it there because it is the signal to investors, it is the signal to those who look at the fundamentals of your economy, that the basic elements of that economy are in a good state,” he added.